March 18, 2019 – Sacramento, CA – Disability advocates and the County of Sacramento have reached a groundbreaking settlement agreement following years of litigation that will result in significant changes to the emergency preparedness plan at Sacramento International Airport (SMF), all of which will help ensure that people with disabilities are not left behind when disaster strikes. The settlement also requires the County to fix a variety of architectural barriers in the Airport’s Terminal B, so that people with mobility disabilities will be able to make full use of the buildings’ many amenities. 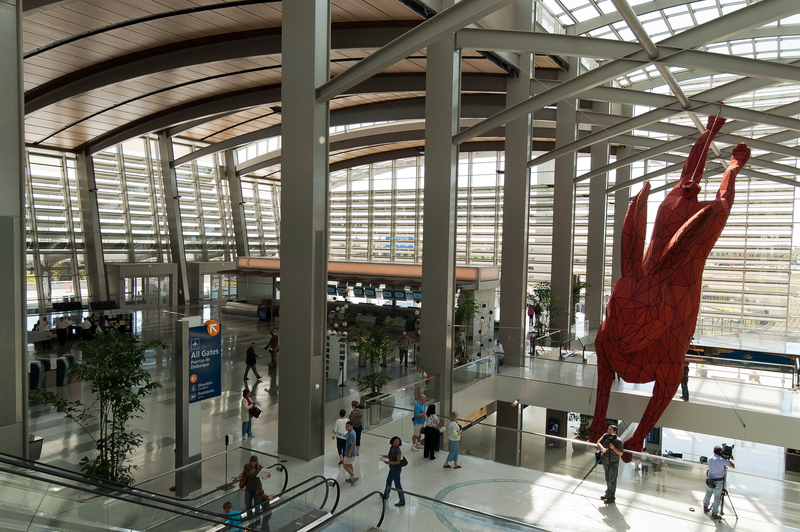 Sacramento International Airport serves an estimated 10.9 million passengers every year, many of whom have disabilities. The settlement agreement will make the airport’s emergency plans among the best in the nation for persons with mobility disabilities. Under the agreement, new announcements and signage will ensure that people with mobility disabilities will know what to do if disaster strikes, and every member of the Airport’s Operations staff will be trained to evacuate them (including training in how to use evacuation chairs). The County has also agreed to purchase additional evacuation chairs, and to make many other changes to its plans and protocols in an effort to ensure that people with mobility disabilities will be able to evacuate safely. Disability Rights Advocates (DRA) brought this case on behalf of the California Foundation for Independent Living Centers and individual plaintiff Ruthee Goldkorn back in 2012. According to DRA Staff Attorney Sean Betouliere, these negotiated changes will make Sacramento International Airport’s emergency plans a “model of effective planning for airports everywhere.” Mr. Betouliere also notes that before this case settled, Plaintiffs established important legal precedent: namely, the first federal court decision in the country to affirm that airports have an obligation, independent of the municipality in which they sit, to plan for the emergency needs of people with disabilities. In addition to their emergency plan changes, the County will fix access barriers throughout the Airport’s $1 billion Terminal B building, which was built brand new in 2011. When these changes are complete, people with mobility disabilities will be able to take advantage of the full scope of Terminal B’s amenities, with the same level of access and dignity that the Airport’s nondisabled travelers enjoy. Please visit DRA’s website or see the attached Settlement Agreement and Memorandum of Understanding for more information.